Today I welcome author Ariffa Bevin to Spinning Pearls. Ariffa agreed to answer my curious questions about the intriguingly titled novel - The Kingdom of the Sun. Q. 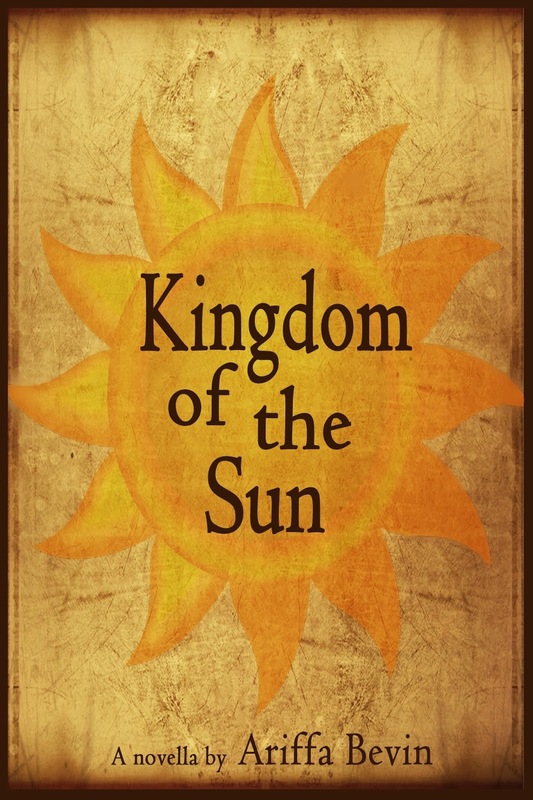 "Kingdom of the Sun" is a splendid title for a book. How did you come up with it? A. Out of all the questions that are asked about my book, I have to say that this one is my favorite. So, thank you for asking it! I came up with the title “Kingdom of the Sun” by thinking deeply about the book’s message and what I wanted the book itself to signify. The sun is an extremely significant theme in the novella for its representation of literal and figurative light, hope, and strength. You see, although Helena is the protagonist of the story, the book is really about the kingdom of Sooryan as it tries to regain all that was taken away from it in order to be seen as a country worthy of the name Sooryan, and I will leave it to my readers to decipher the true meaning of that word. 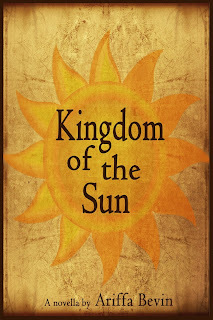 As an author, I want “Kingdom of the Sun” to be like the sun. I want it to not only tell the story of a nation fighting for truth, hope, honor, and happiness, but I want it to shed light on the unseen and ignored issues and perspectives of society and the world. I want my readers to feel the strength that comes from the sun in believing they have the strength to overcome anything. And like how the sun signifies hope, I want Kingdom of the Sun to represent the hope that change can and will happen for the better: in the world and in our own lives. Q. Please tell us a bit about the story. A. I would love to! Set in the modern-day kingdom of Sooryan, Kingdom of the Sun tells the story about a nation that became successful based solely on education and its Scholars as the foundation. However, the story opens with Sooryan in economic, political, educational turmoil. In a kingdom where Scholars and education were once top priority, the Royals of the past and present years favor competition, status, and money more. And although Sooryan’s people and Scholars are well aware of the nation’s decline, Helena is the only one who truly sees what needs to be done and has the courage and strength to do it. Q. You know those "if you like this author, you might also like this one" lists? Please tell us a couple of authors that fit in with you and your book. A. Well, there are two authors that come to mind. The first is George Orwell and his novel 1984. Kingdom of the Sun possesses many of 1984’s characteristics like literary symbolism, rebellion, and most importantly, its story pertains very much to what is happening in today’s countries. The second author that I believe has a similar style to mine is Margaret Duras and her beautiful novella The Lover. What I enjoyed most about this book, besides the touching true story, is that Duras uses very simplistic sentence structure that is extremely powerful and dense at the same time. I tried to do the same with Kingdom of the Sun. Thank you, Ariffa! If anyone has comments or questions, I'm sure Ariffa will be happy to respond.